Kia Ora! Do you love Pinot Noirs and bracing Sauvignon Blancs from New Zealand? 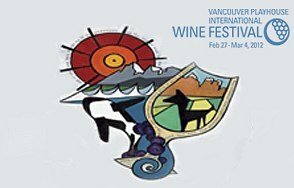 Thinking of buying some event tickets for the Vancouver International Wine Festival at the end of Feb/ start of March? 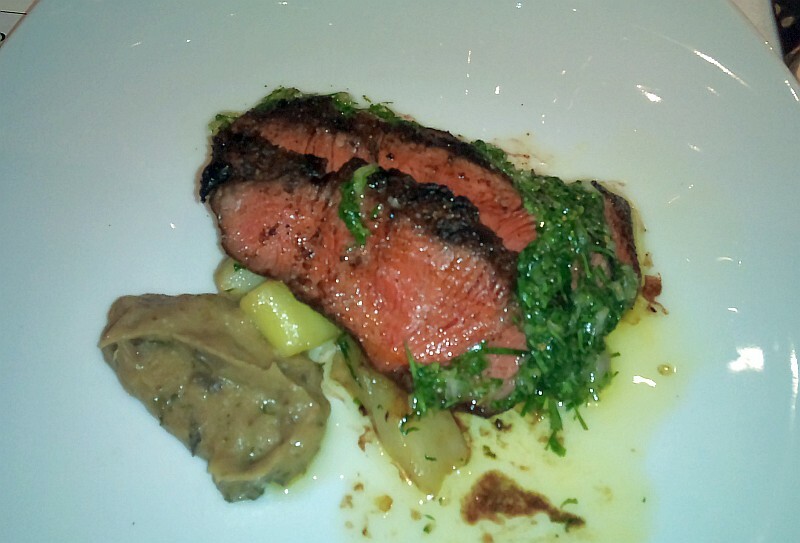 Think about the Passionate Pairings at the Boathouse in Kitsilano. I’ve attended the last two years. Great seafood, paired with great New Zealand wine. Here is some details from the Boathouse. Enjoy! It’s the ultimate wine and food experience! NZ Wine Growers challenged seven passionate Boathouse chefs to prepare seven inspired dishes to pair with sensational wines from seven New Zealand wineries. Take in the spectacular views of English Bay at The Boathouse at Kits Beach and meet one-on-one with New Zealand winery principals and Boathouse chefs at this popular culinary grazing event. Your challenge is to choose your own favourite Passionate Pairing! We all have been taught that white wines go with fish and red wines go with meat (red meat especially) and never the two shall cross. 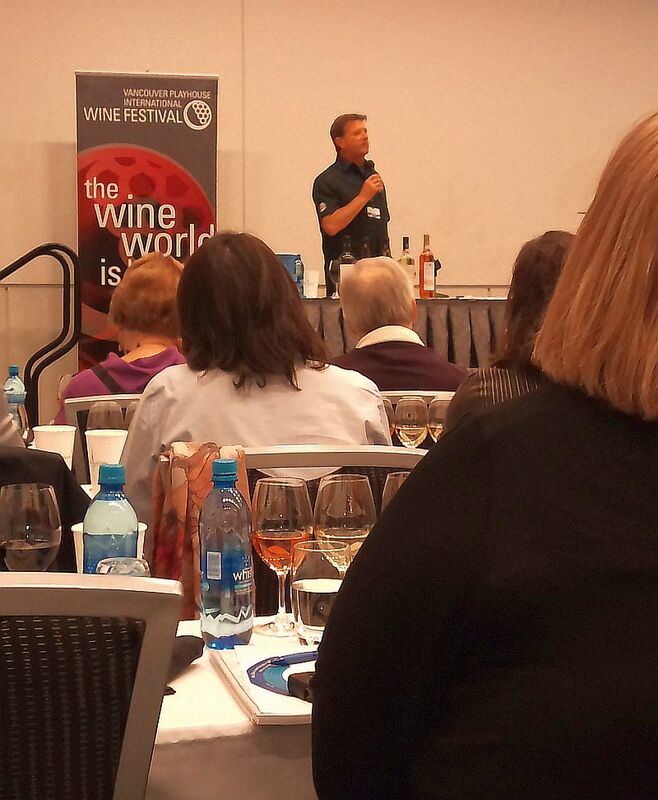 But my recent Food and Wine in Balance seminar at the Vancouver Playhouse International Wine Festival tore down that pairing barrier. So you can enjoy a California Cabernet Sauvignon with a steamed fillet of sole. Really! First the dominant taste in your dish will change all wines in the same way but to a different degree. For example, sweetness in your dish will make all wines taste sour (or less sweet). 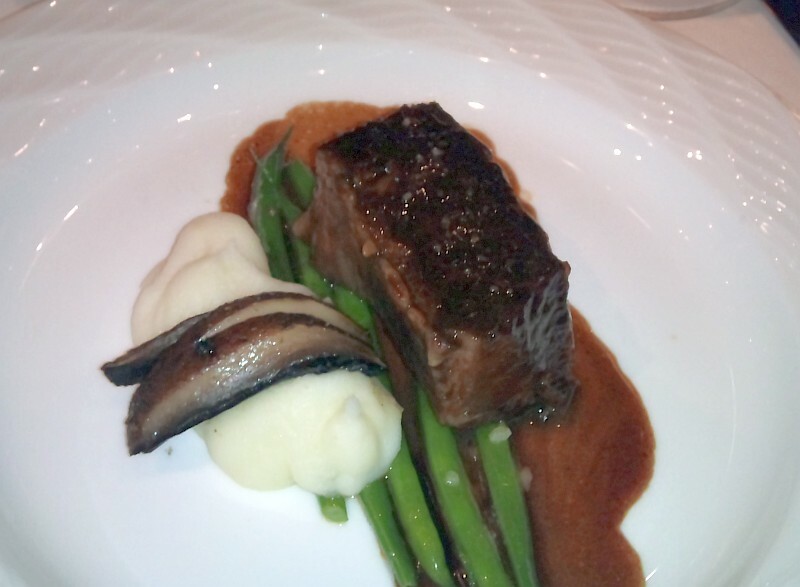 Your goal is to find a dish that doesn’t change the flavour of the wine too much, as to impair the pairing. Second, sweet food can make wine taste sour. I know I just mentioned it, but previously as an example of the first rule. How does sweetness make wine taste sour? The sweet food makes our tongue’s tastebuds used to the sweet taste so that we don’t taste the sweetness in the wine. 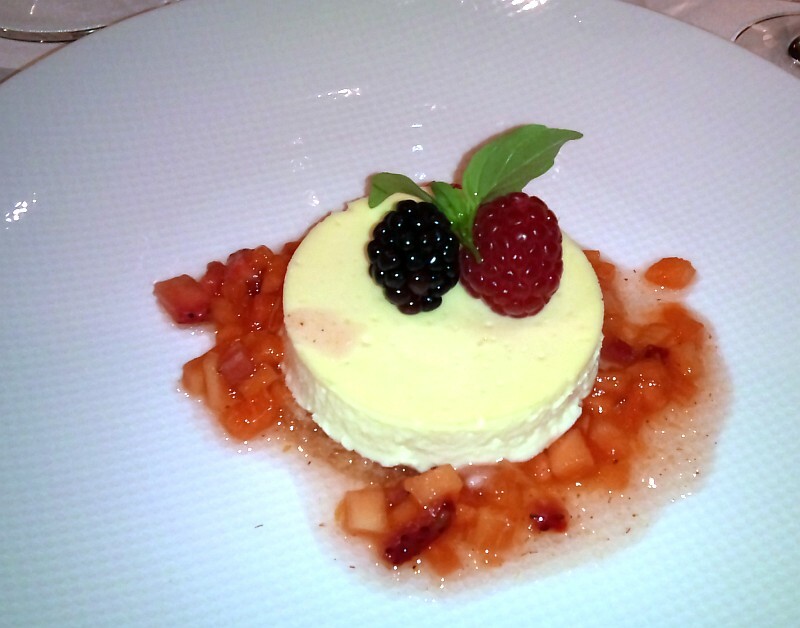 If you want to taste the sweetness of a wine with a sweet dish, e.g. a dessert, then the wine must be sweeter than the dish. Third, sourness in a dish makes wine softer, less acidic tasting. As an example of these last two rules, we tasted the Beringer Napa Valley Sauvignon Blanc 2009 with a sweet slice of apple and with a sour wedge of lemon. The Sauvignon Blanc became extremely sour tasting after eating the apple, while the wine became very soft, and you could even taste sweetness from the wine after trying the wine with the lemon. On it’s own this wine had passion fruit and grapefruit aromas. High acidity with tropical fruit and vanilla flavours. Fourth, sweet wines can also make red wines taste more bitter. Toasted barrels used in red wines leave bitterness on your tongue. We tested this rule by trying a Beringer Napa Valley Pinot Noir 2006 with some apple and some lemon. The apple made the Pinot Noir bitter tasting, while the lemon made the Pinot Noir taste soft. As Jerry, our instructor stated, “Sour food is our friend”. The Pinot Noir on its own had nice violets aroma. Cinnamon, cloves, soft and round on the palate. 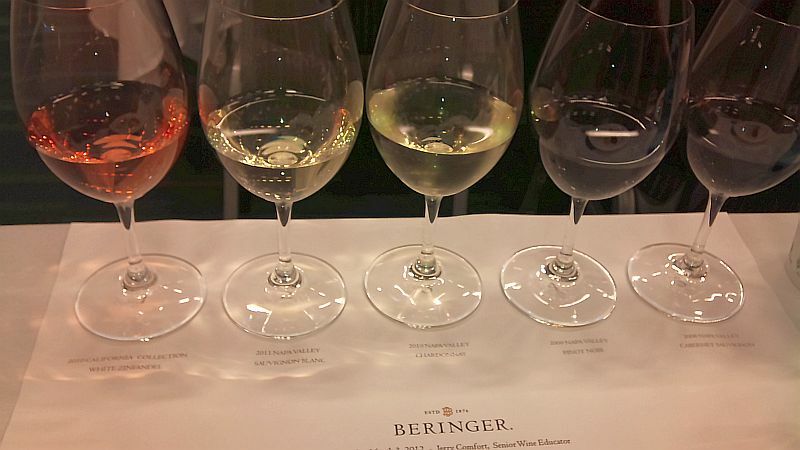 We tried the same test to the Beringer Napa Valley Cabernet Sauvignon 2008. It tasted very dry, tannic and bitter with the apple, yet was quite soft on the palate with the the lemon. How can sweetness in food make wines both sour and/or bitter? Well these flavours in the wine were already there. Sweetness makes these characteristics in the wine even stronger. Fifth, salt blocks bitterness and acidity. So salt can soften tannins in red wines, along with lemon. From this, it would make sense that if you have a dish with low or no salt, that you should pair it with a wine that has little or no oak. If you can’t eat salt due to health concerns, use acidity to tame those tannins. As a test of this salt and acidity balancing out bitterness, we had a steamed piece of white fish that we each added lemon and salt. 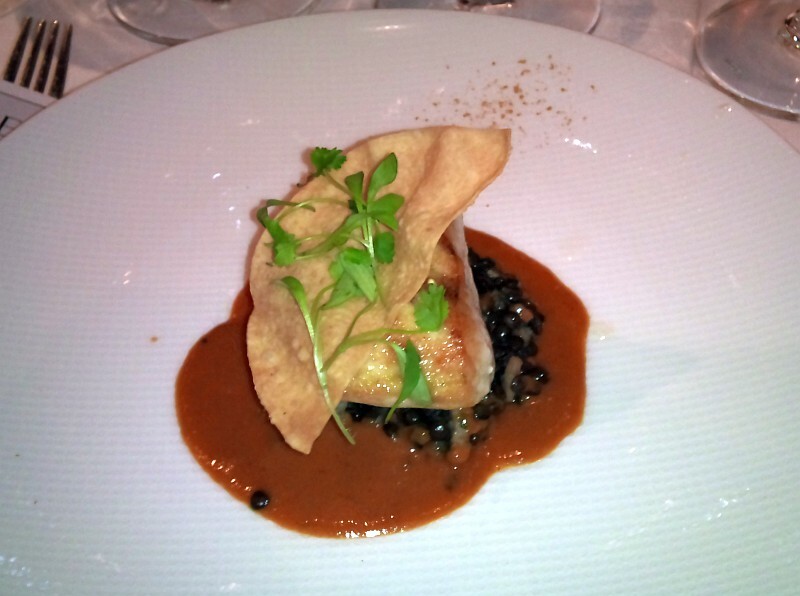 We then ate a piece of this seasoned fish and a sip of the Beringer Napa Valley Cabernet Sauvignon. The pairing worked wonderfully. Everything was in balance. We also tried adding some salt and lemon to grilled steak and eating this seasoned steak with a Beringer Napa Valley Chardonnay 2010. 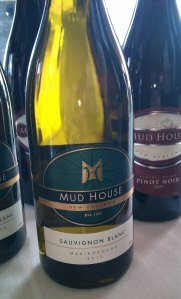 The Chardonnay on it’s own had vanilla, less and tropical fruit aromas. Round with medium acid, vanilla (from oak) and tropical fruit flavours. The steak did not overpower the Chardonnay. Sixth, spice (such as black pepper) does not affect sweetness or fruitiness in wine, but does taste spicer with red wines. We tried some cheese with a black pepper rind with the Beringer California White Zinfandel. This off-dry wine did not make the pepperiness go away, you just tasted the sweetness in the wine, which then wore off and the pepperiness reappeared. This cheese with black pepper tasted more spicy with the Cabernet Sauvignon. How do you deal with spiciness? Again through the proper addition of acidity and salt balanced out the spicy food so that they had less effect on the wine’s flavours, so the wine tasted good. Adding some lemon juice and salt to the pepper rind cheese made a very nice pairing with the Cab. 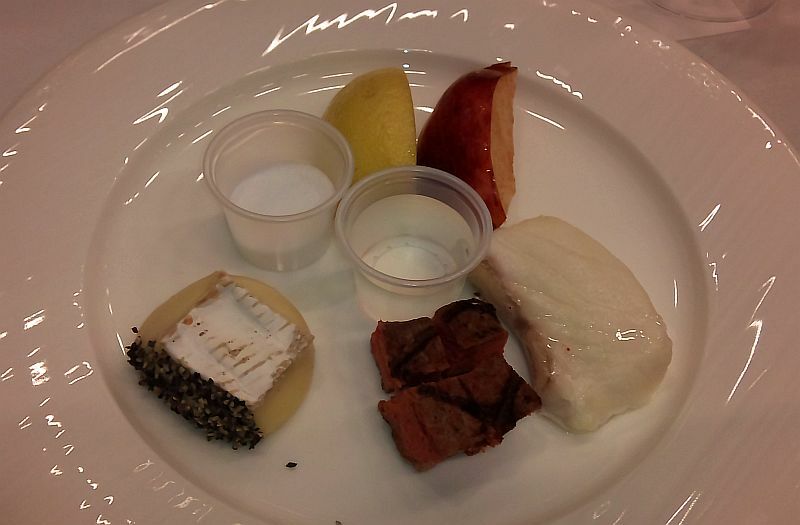 My take away from this seminar is that you really can enjoy more than one type of wine with a dish, as long a the dish has an appropriate salt & acid balance. This is important, if you are having a party for example, and you have some people that prefer red wines while others prefer white wines. Through the proper balancing of the food’s flavours, you can make a dish that both types of wines lovers will love even more. If you have food with low salt, you may choose a high acid wine, or a wine with low oak. A dish that is very salty would do better with a fortified or a dessert wine (think salty cheese and port). Overall I thought that this was a really different food & wine pairing event, and one which I would like to try on my own now. Enjoy! Have you had a chance to check out the wine events coming up at the Vancouver Playhouse International Wine Festival? Did you know that tickets for the events go on sale this Tuesday, January 10? I’ve checked through the events, and I’d like to give you a few recommendations. Maybe you will see me at one of these events too. Two years ago I travelled down to Chile and visited wineries from the Aconcagua, Maipo, Casablanca, and Colchagua Valleys. Some of the wineries were Casa Lapostolle, Montgras, Montes, Errazuriz, and Casas del Bosque. I was impressed with how much the wineries cared for their vineyards and the production of their wines. One of the nice thing with Chile, is that it is dry due to it’s location on the west coast of South America, and the Andes Mountains on it’s eastern border. The dry climate, plus topography, and soil factors have made the area a great place to grow grapes. There is very little, or no, phylloxera louse to attack the grape vines, plus the dryness keeps fungus and mold at bay. So less pesticides and/or herbicides are needed here. 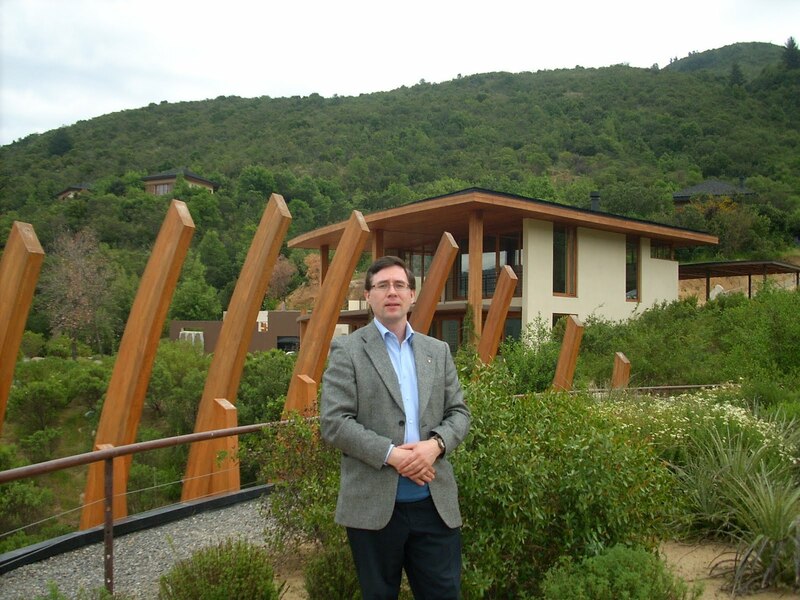 Many of the wineries in Chile indicate that they are organic or follow organic principles. Chile is a wine maker’s paradise. They get 3 weeks more ripening time than in Bordeaux and 300 + days of sunshine each year. The cool air from the Andes cools the grapes in the evening so that the grapes mature slowly so that they reach full phenolic ripeness; lots of ripe fruit and a good backbone of acidity. The adjacency to the coast, and the cool Humbolt Current helps produce coastal fog which cools the grapes near the coast, such as from the Casablanca Valley and San Antonio Valley. 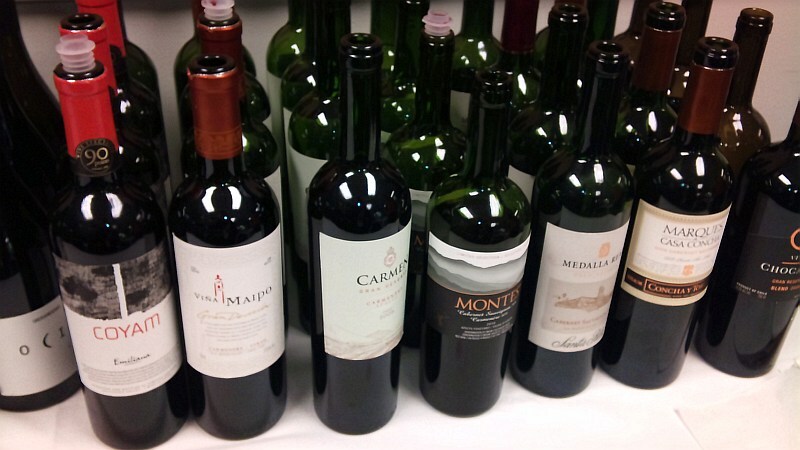 Cabernet is King is Chile. With the 300+ days of sunshine, the Cabernet Sauvignon grapes produce very full-bodied, ripe, supple wines. Concha y Toro’s Don Melchor is one of the top quality wines for this grape. Merlot and Carmenere come in, in 2nd and 3rd place. Yet they were thought of both being Merlot for many years. The grapes were planted together in the same vineyard and the grapes and leaves of both vines look very similar. It was only fairly recently that the Carmenere grape was identified (it’s a Bordeaux grape btw), and has become a signature grape for Chile. A second signature red grape is coming through the ranks, and that is the Syrah grape. I think people started to recognize Syrah’s potential in Chile, with Aurelio Montes‘ plantings in the Apalta Region of the Colchagua Valley. There he produces an ultra premium Montes Folly wine from Syrah. 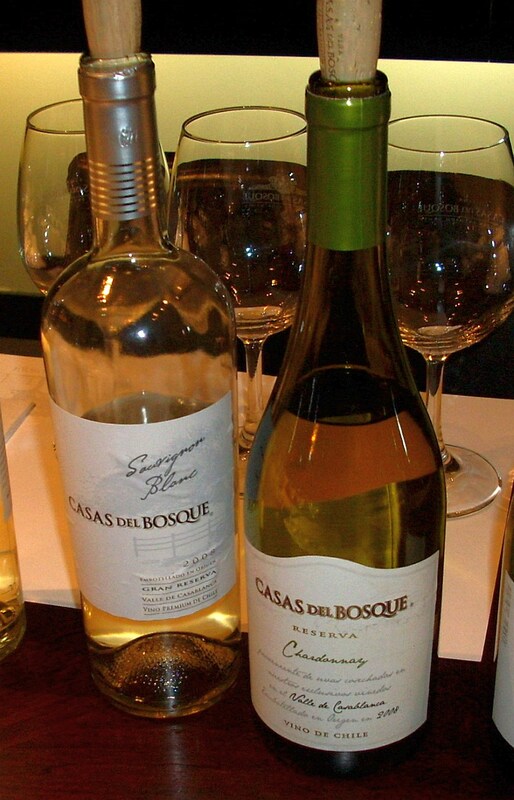 Most people probably think of Sauvignon Blanc and Chardonnay when they think of white wines from Chile. 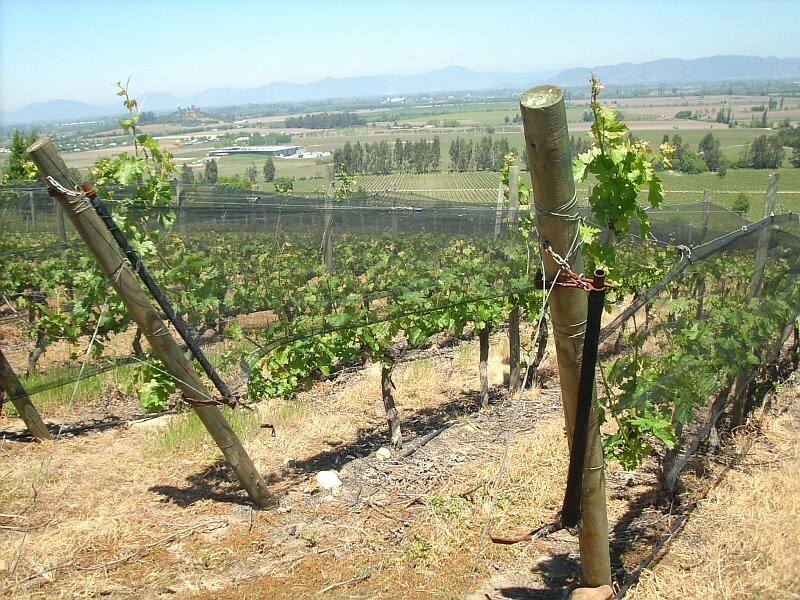 Probably also the Casablanca Valley, where a lot of very good Sauvignon Blanc and Chardonnay are produced. An upcoming region for Sauvignon Blanc is slightly south of the Casablanca Valley and much closer to the coast is the Leyda Valley. While the Sauvignon Blanc wine from the Casablanca Valley can be more tropical fruit, from the Leyda Valley, expect more citrus and herbal aromas and flavours. Have you ever heard of Moscatel of Alexandria? 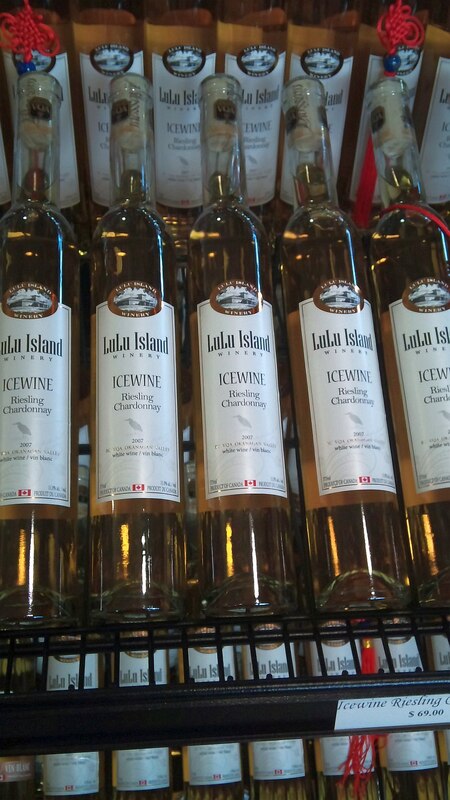 You might not have, but you probably have tried some Chilean Pisco. Pisco is produced from the Moscatel grape. Riesling and Viognier and two grapes with great potential. I don’t think a particular region is well-known enough for these grapes, but I would hazard to guess that the Riesling grape would be very good in the Casablanca and San Antonio Valleys while Viognier would shine in the more inland, warmer regions, like Aconcagua, Maipo and Colchagua Valleys. Cabernet is more than just one grape. Most people know of Cabernet Sauvignon, the highly revered grape from Bordeaux, but there is also another Cabernet, Cabernet Franc, which can also be found in Bordeaux, but is better known in the Loire Valley in France. Cabernet Sauvignon can be found around the world. 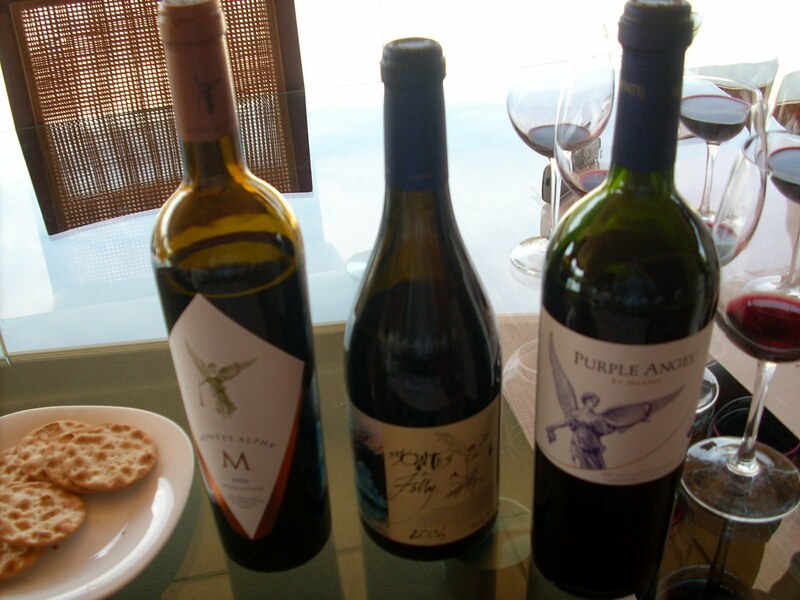 California’s Napa Valley produces some famous Cabernet Sauvignon, such as Stag’s Leap, and don’t forget Chile! Cabernet Sauvignon tends to have quite high tannins giving it great longevity potential in the bottle. The flavour profile is Cabernet Sauvignon according to Wikipedia, “When Cabernet Sauvignon is young, the wines typically exhibit strong fruit flavors of black cherries and plum. The aroma of black currants is one of the most distinctive and characteristic element of Cabernet Sauvignon that is present in virtually every style of the wine across the globe. Styles from various regions and producers may also have aromas of eucalyptus, mint and tobacco. As the wines age they can sometimes develop aromas associated with cedar, cigar boxes and pencil shavings. In general New World examples have more pronounced fruity notes while Old World wines can be more austere with heightened earthy notes“. Cabernet Franc in Bordeaux is used as a blending grape, offering cedar, tobacco, raspberry, cassis and violets aromas and flavours. It is lower in tannins than Cabernet Sauvignon, and also can have a green pepper or leafy character. You can also find Cabernet Franc grown around the world. 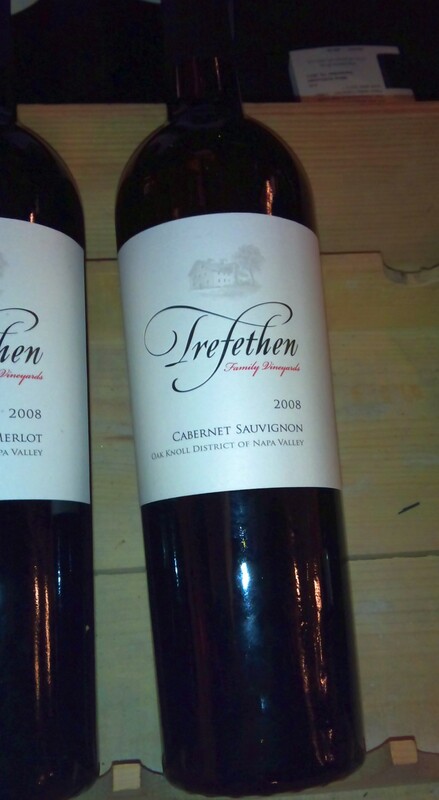 Here in BC we have single varietal bottles of Cabernet Franc, such as from Tinhorn Creek. I have not had time to check on these other Cabs but will do some further research in the future. New World Expressions. This is all about New World Cabernets. Try Penfolds Bin 707 and other Bins against sought after New World regions of Sonoma and Napa Valley. Celebrate Casa Real. Casa Real is one of Chilean winery, Casa Santa Rita‘s ulta-premium Cabernet Sauvignon. Winemaker Andres Ilabaca will guide you through a vertical of 8 vintages of this wine. It is always very interesting to try successive vintages of a wine and see how it is aging over time. Cabernets from around the world. One of the best ways to tell what style of wine you prefer for a particular grape. Don Melchor: Behind the Blend. 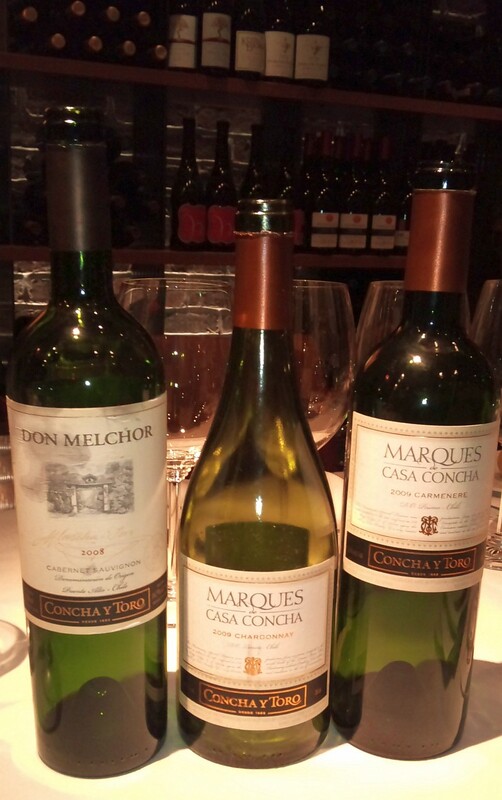 If you know anything about Chilean wine, you would know about Concha y Toro‘s premium Don Melchor. Don Melchor has been regarded as Chile’s first growth of Cabernet Sauvignon and is accredited with bringing the premium wines of Chile to the attention of the world. Any of the 8 sit down or grazing lunches on the weekend of March 3 and 4. I’d personally select the Chilean, New Zealand, or Spanish events. Flavours of the Festival. If you have the money but not the time to try many of the wines from around the world during the Festival. This sit down brunch at the The Fairmont Waterfront ballroom showcases foods from top BC restaurants paired with Festival wines from around the world. Catena High Altitude at Hy’s. This is a Argentinean delight. Wonderful wines from premium producer Bodega Catena Zapata from Mendoza, with expertly cooked steak from Hy’s. Malbec and more! A Star Rises in South Africa! Lammershoek is one of the rising stars of the dynamic South African wine scene. I’ve tried their wines for the first time last year and they are excellent. Try their Pinotage, the signature red grape from South Africa. West Coast Montes. Enjoy a dinner with Chilean wine pioneer Aurelio Montes. I’ve had dinner with him in the past. 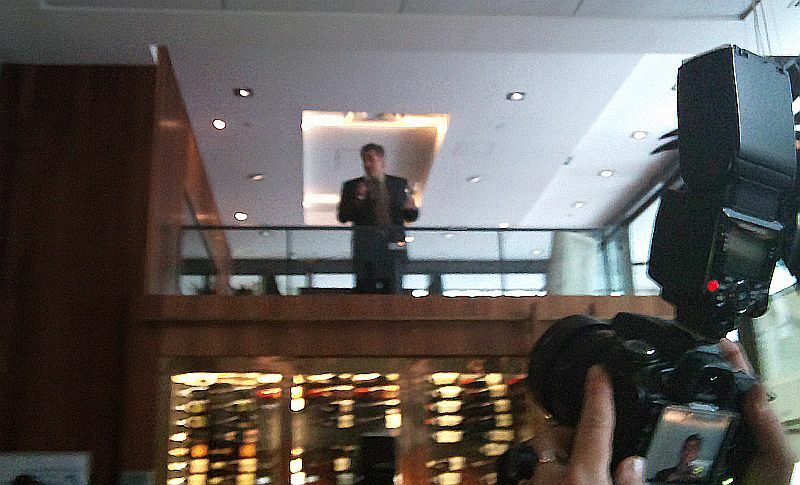 He is very interesting and will tell you many stories about his wines. Discover Piedmont at CRU. CRU is one of my favourite restaurants in Vancouver. The food creations will be expertly matched with the wines of one of the most dynamic Barolo producers in Piedmont Italy, Damilano. Classe Italiana. Another choice if you like Italian wine. 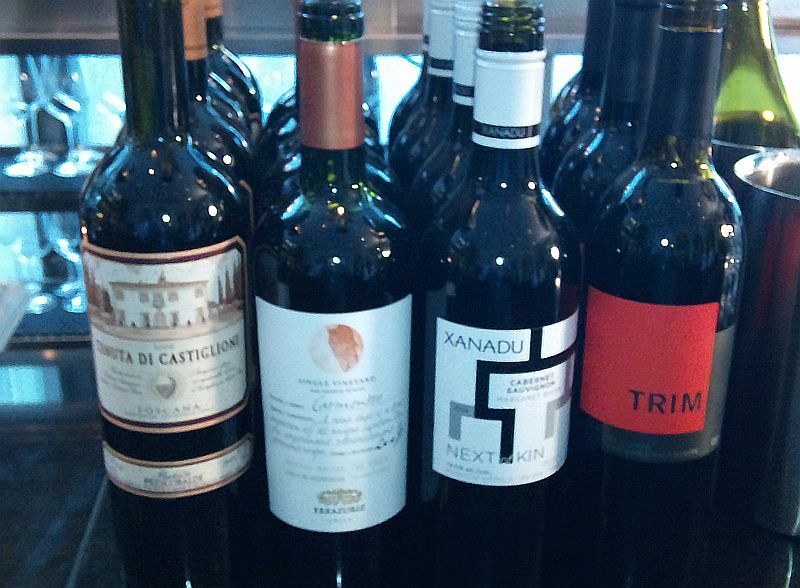 Wines from Antinori, one of Italy’s most historic and prestigious Tuscan wineries, will be paired with Vancouver’s highly acclaimed and awarded Cioppino’s Mediterranean Grill. of Alvaro Espinoza’s wines in a harmonious and innovative union. Public Events: Tickets to all public events go on sale Tuesday, January 10, 2012 at 9:30 am. Every year we look forward to our pinnacle wine event, the Vancouver Playhouse International Wine Festival. 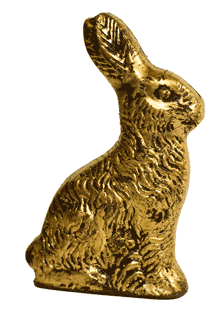 Next year’s event will be Feb. 27 – March 4, 2012. What does this have to do with Chile? Chile is the theme country for the Festival! A group of Media, myself included, were invited to a preview of the Chilean wines we can expect to see at the Festival, plus give us some background into this long, thin country. What Grapes Grow in Chile? Montgras Amaral Sauvignon Blanc 2009 (Leyda Valley). Light straw colour with a green tinge. Gooseberry and sweet honey nose. Light body with medium plus acidity. Gooseberry and citrus flavours. Medium length. My favorite of the these 3 wines. Vina Santa Carolina Reserva Sauvignon Blanc 2010 (Leyda Valley). Light lemon colour with herbal, asparagus and mint on the nose. Round mouth feel with light body. Herbal, citrus and green apple fruit flavours with some minerality on the palate. Quite sour on the finish. Undurraga Terroir Hunter Leyda Sauvignon Blanc 2008 (Leyda Valley). 2008 was a later harvest than the other years, resulting in riper more tropical fruit flavours. This wine was light lemon/green in colour. Tropical fruit, lees and oak on the nose. Light body, round mouth feel but also has a good backbone of acidity. Oaky, smoky, citrus flavours. Long length. Cono Sur Ocio Pinot Noir 2009 (Casablanca Valley). Medium ruby, Vanilla and cherry aromas. Medium body, dry, but full fruit, cherry flavours. Vanilla in the back ground and some spiciness and raspberry leaf. Slightly sweet cherry finish. 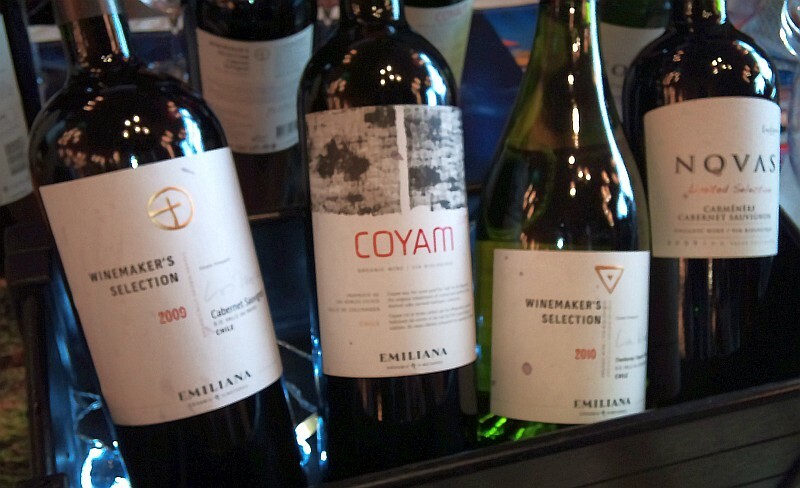 Emiliana Vineyards COYAM 2007 (Colchagua Valley). This is a biodynamic wine, which goes beyond organic wine making principles. Opaque garnet in the glass with ripe black fruit, vanilla, dark chocolate and cherrie aromas. Full body, very round, with milk chocolate and ripe cherry flavours. Some spice, raspberry leaf and vanilla on the finish. A very high quality, balanced wine. You can read about biodynamic wines at this link. Vina Maipo Gran Devocion Carmenere Syrah 2008 (Maule Valley). This blend is 75% Carmenere and 25% Syrah. Deep ruby colour. Meaty sausage and ripe cherry aromas. Full body, round with minerality. Cherries, blueberries and vanilla flavours. Medium plus acidity gives this wine bright flavours. Carmen Gran Reserva Carmenere 2009 (Apalta Valley). Some dustiness on the nose, along with ripe cherries, capsicum and vanilla. Medium minus body with high acidity and soft tannins. Dark chocolate and cherry flavours with a mineral streak running through the wine. Not mouth filling but very pleasant sensation in your mouth. Vina Montes Limited Selection Cabernet Carmenere 2010 (Colchagua Valley). The nose on this wine was a little closed, but I did get some nutmeg and cherry aromas. But on the palate, nutmeg, cedar and dark fruit flavours jump out. Round mouth feel, dry with some spiciness. Santa Rita Medalla Real Cabernet Sauvignon 2008 (Maipo Valley). Deep garnet in colour with cedar and ripe fruit aromas. Full body, rich feeling ,with ripe dark fruit flavours and vanilla. Dry with soft tannins and cedar on the finish. This is a real good value wine at $19.99 a bottle. Also try their Medalla Real Pinot Noir! Cousino-Macul Antiguas Reservas Cabernet Sauvignon 2008 (Maipo Valley). This wine I think is starting to show it’s age as there is a slightly brownish tinge to an otherwise garnet colour in the glass. Some dark fruit on the nose. Medium body, light mouth feel, with juicy black fruit flavour. An elegant wine. 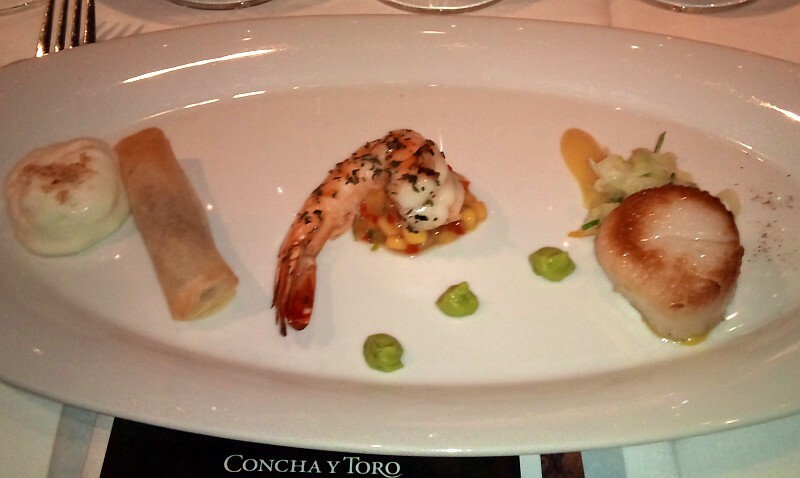 Concha y Toro Marques de Casa Concha Cabernet 2009 (Maipo Valley). Deep dark core with a ruby rim in the glass. Vanilla, dark fruit and oak/cedar aromas. Full body, round mouth feel with soft tannins. Light vanilla with some mintiness. Vina Chocalan Gran Reserva Blend 2009 (Maipo Valley). 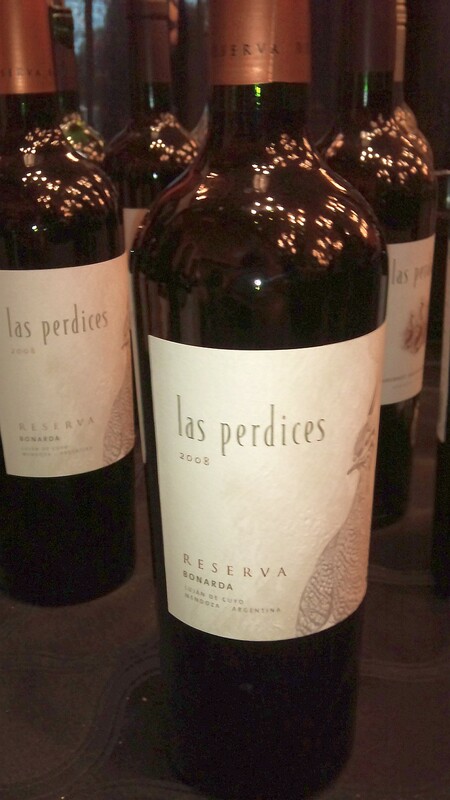 This is a blend of 6 grapes: Cabernet Sauvignon, Malbec, Cabernet Franc, Carmenere, Petit Verdot, and Syrah. Opaque garnet in the glass. Nice cedar, allspice and vanilla on the nose. Very round in your mouth with soft tannins. Allspice, cedar and ripe black fruit flavours. Nice texture. 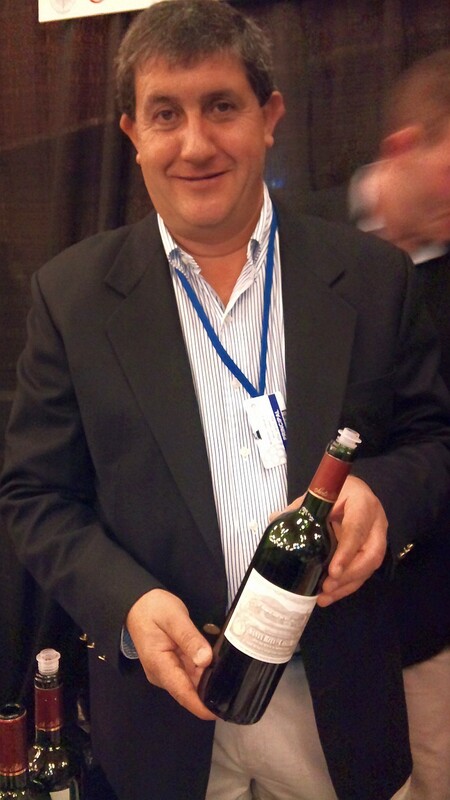 A favorite wine of many of the media I spoke with. 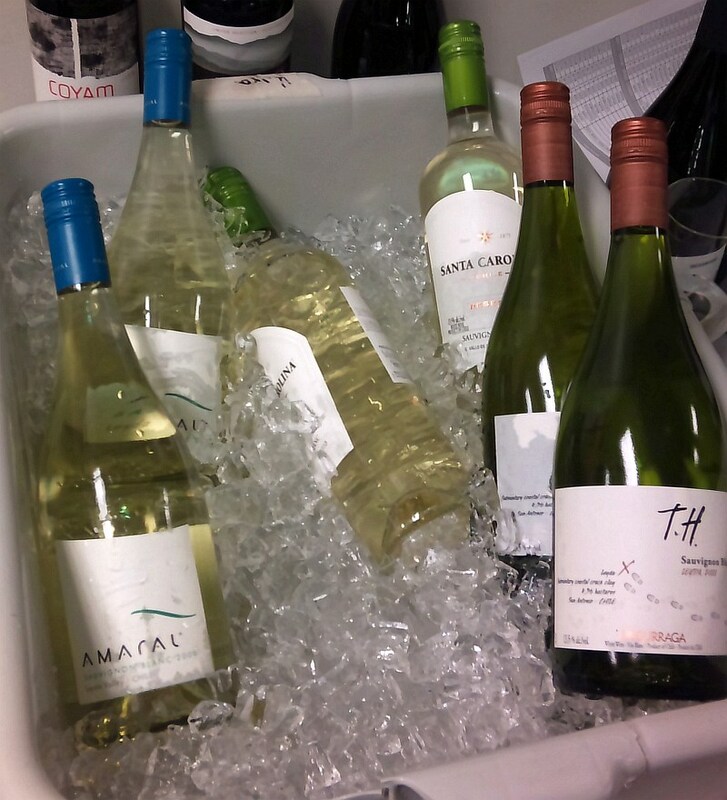 If these wines have enticed you, you may want to buy advance tickets to the Playhouse Wine Festival. Here is my link to the tickets. Enjoy and Salud!